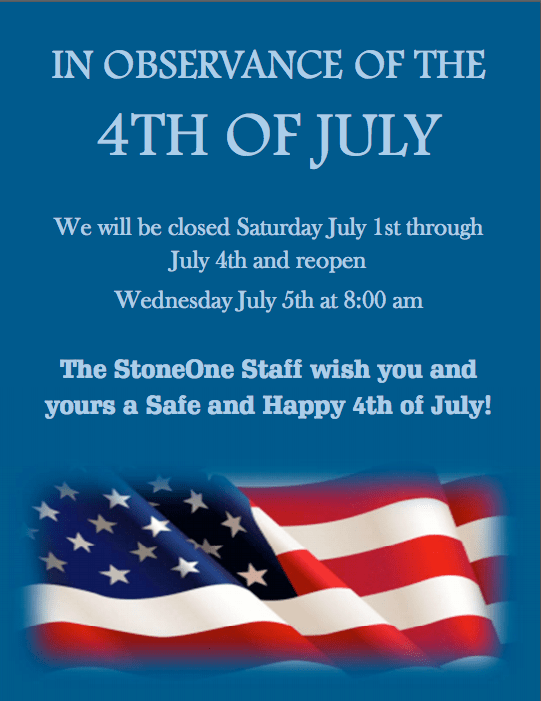 StoneOne Marble, Granite & Masonry | The Process - What to Expect! The Process - What to Expect! Home / Experience / The Process – What to Expect! So your getting a New Kitchen! Congratulations! Your sales rep will provide you with a written quote with all your options spelled out. Sign the quote and send/bring in with a deposit for half. Call to schedule your template 1-2 weeks before base cabinets are installed to avoid downtime on job. Make sure to have stove in place, since and faucet you are going to use onsite for template. See our pre-appointment checklist to make sure you are ready for us. Schedule your Layout – if you have a material that has a lot of movement or your sales rep recommends it – you must come to the shop and “layout” your countertops – after the template is returned to the shop. This process can take anywhere from 15 minutes to an hour – depending on your level of detail! Your Install is scheduled – once we schedule the template and layout. We will give you a two hour window for arrival – but the install will take time. A typical install can range from 2 hours to 8 hours – depending on the size of your kitchen, if there is back splash, how many seams, and how big the pieces are. We can give you what our estimate is at the time of confirmation. Day of install – someone who can make decisions about countertops MUST be onsite. Payment is due at the time of installation. Whether you pay by check or by credit card – it must be paid by end of the day. Your plumber must come after us to connect your sink to the plumbing. We will install the sink in the countertop – but we are not plumbers (we can provide one if you like for a fee). We suggest a couple of hours in between the installation of your top and the time that the plumber comes to connect everything. This time will give the countertops time to “rest” and adhesive time to dry. Make sure to register your product.